I received Kronokare Caribbean Ginger Shower Gel and Body Lotion duo samples in my August 2014 fabbag and used them after quite a long time. This is a long pending post. so finally today I am here to share my review with all of you. Shower Gel: 325/- INR for 220 ml and 105/- INR for 60 ml. Body Lotion: 345/- INR for 220 ml and 115/- INR for 60 ml. Zingiber Officinale, Citrus Limonum, Sodium Leuryl Sulphate, Coco Di Ethanol Amide, Coco Mono Ethanol Amide, Dimethicon Derivetive (DC 8500), Methylchloroisothiazolinone, Ethylene Diamin Tetra Acetic Acid, Colour, Distilled water. Zingiber Officinale, Citrus Limonum, Iso Propyl Maristate, Mineral Oil, Glycerine, Emulsifying Wax, Bees Wax, Imid Urea, 2-Phenoxyethanol, Methylchloroisothiaxolinone, Ethylene Diamin Tetra Acetic Acid, Colour, Distilled water. Fragrance: Strong spicy gingery notes. 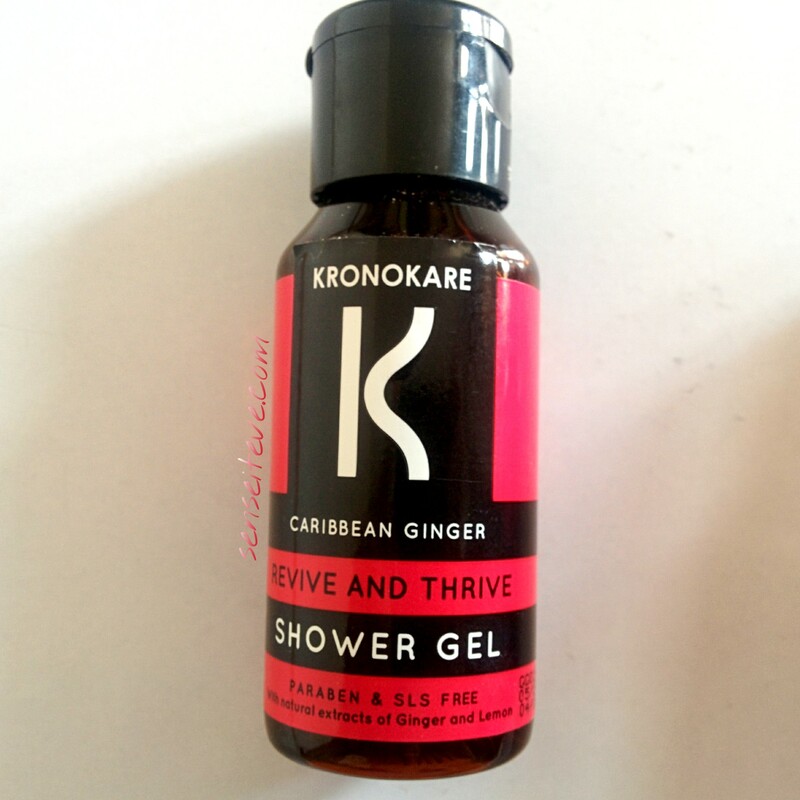 Kronokare Caribbean Ginger Shower Gel “Revive & Thrive” is a transparent shower gel which is parabean & SLS free. It lathers up well and smells of strong ginger and spicy notes which I personally don’t like, thankfully it doen’t linger for a long time but if you follow it up with moisturizer from same range then smell linger quite a while. I used it in normal weather and I felt that despite being SLS free, moisturizer can not be skipped after taking shower with this one. Overall nothing special about this one. 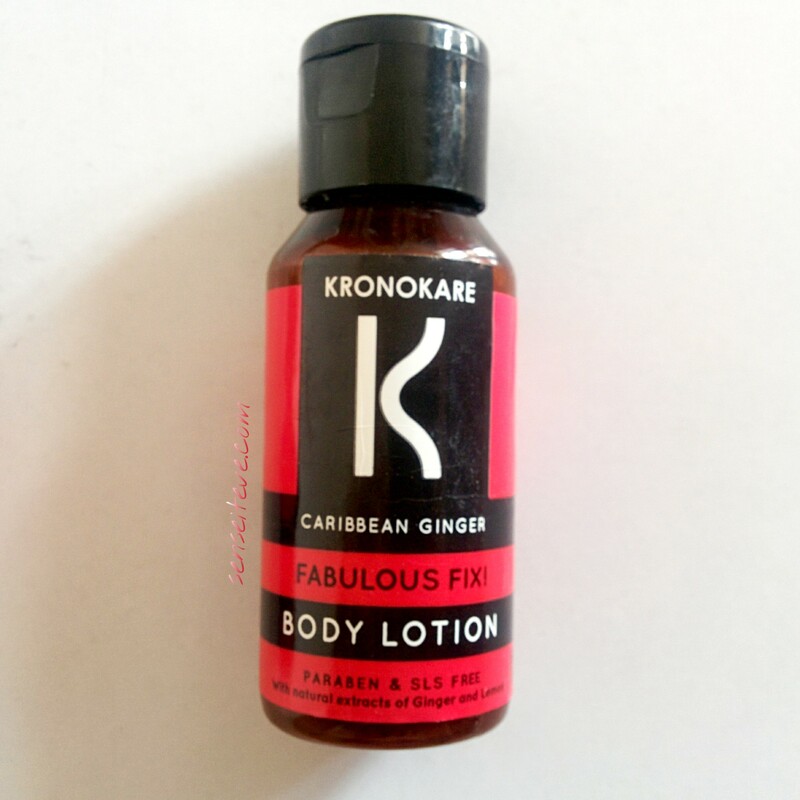 Kronokare Caribbean Ginger Body Lotion “Fabulous Fix” is a medium consistency white colored body lotion which has same notes of ginger and spices as shower gel. It is light-weight in texture and gets absorbed quickly. This body lotion is hydrating for normal skin but people with dry skin might not find it moisturizing enough specially in winters. If you are fond of ginger spicy notes then use this after taking bath with shower gel and the scent will linger for quite a while which I personally do not like. 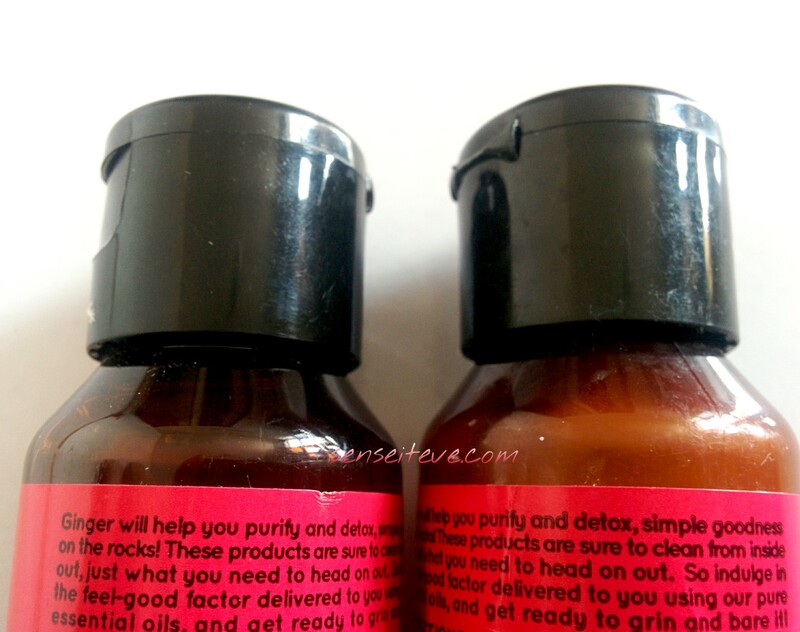 Body lotion hydrates well & shower gel lathers well. Does not irritate sensitive skin. Body lotion gets absorbed quickly. Gingery-spicy fragrance is too overpowering for me. (personal preference). Not suitable for dry skinned people. Recommended: Yes, Only if you like ginger and spicy notes in your shower gel and body lotion and you have normal to oily skin. Kronokare Caribbean Ginger Shower Gel and Body Lotion duo is SLS & Parabean free and does the job decently. Recyclable packaging makes the duo eco-friendly. 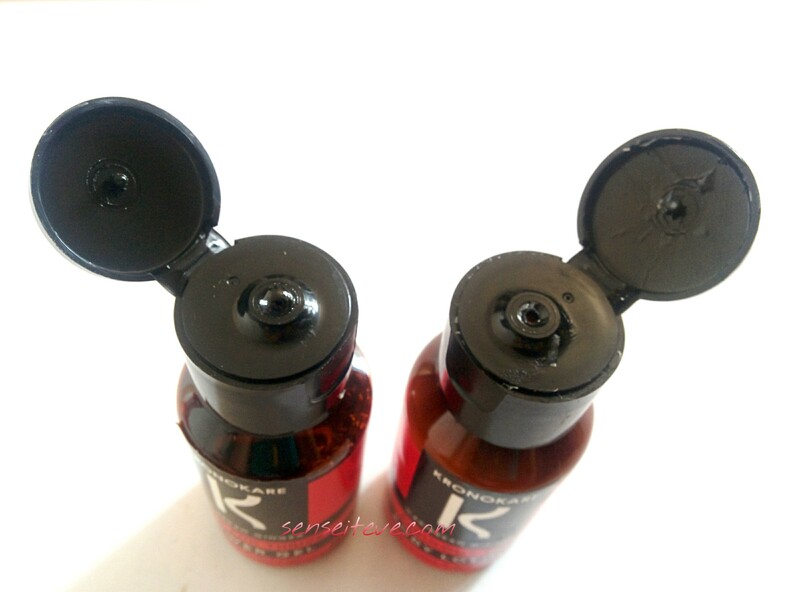 This duo is good for normal to oily skinned people. Though in winters I won’t suggest this for Dry skinned people. Haven’t heard of this brand. Sounds decent. I too don’t like spicy smell and specially ginger I hate the smell. I don’t even have ginger tea. Nice review. I liked how you combined two products review into one. Thank for sharing this review. I see this brand for the first time, good to know you opinion! I will surely skip this because I have normal-dry skin. Great review though! Kronokare products are pretty average nothing wow to spend moolah on. 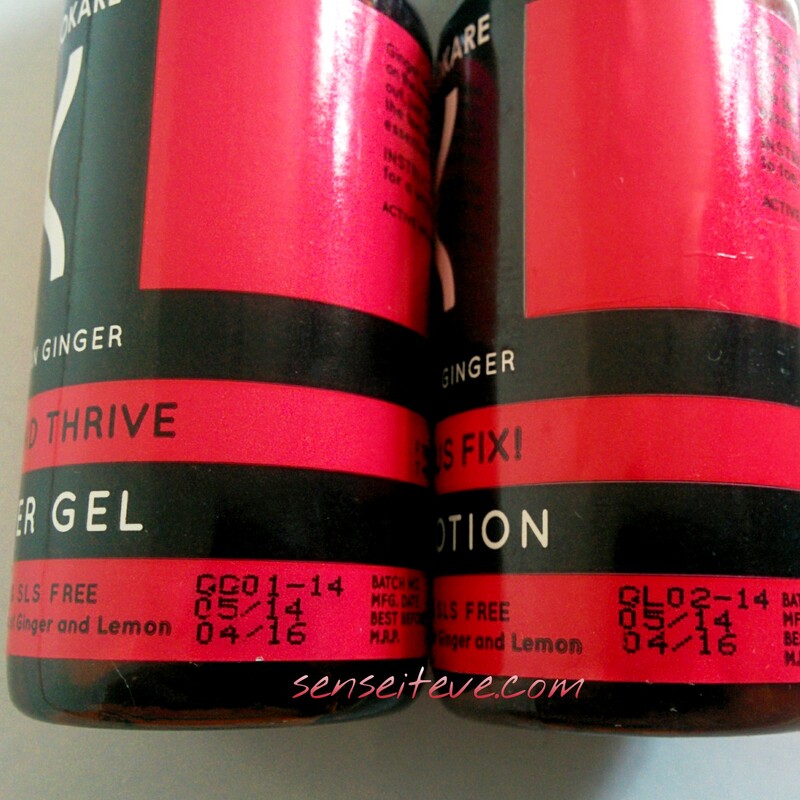 Vishakha@Reviewwali recently posted…Shop From International Websites With UsGoBuy !